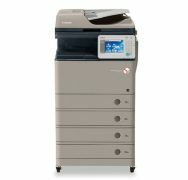 Department Solutions - American Business Copiers, Inc.
Browse Department Solutions from American Business Copiers, Inc. The imageRUNNER ADVANCE 4200 Series will propel your business to new levels of performance. A beautifully compact communications hub, it seamlessly integrates business processes and streamlines tasks to achieve impressive efficiency. 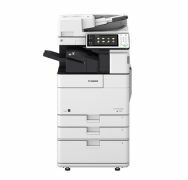 Built for quality, reliability and sustainability, the imageRUNNER ADVANCE 4525i provides busy offices with a multifunction printer designed to improve workflow and perform seamlessly in a variety of environments. 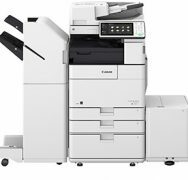 Introducing the Canon imageRUNNER ADVANCE 4500 Series. These black and white models are designed to deliver consistent and reliable performance to your busy departments and work environments. 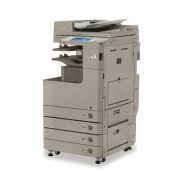 Built for consistency and reliability, the imageRUNNER ADVANCE 4545i multifunction printer can deliver high-quality output for busy departments and work environments. 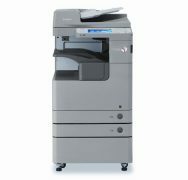 The imageRUNNER ADVANCE 500iF models are Canon's most advanced letter/legal sized multifunction printers ever. They deliver easy, efficient workflow and connectivity to mobile devices and cloud-based tools.